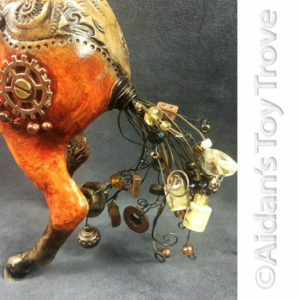 The first is a beautiful Big Ben in steampunk attire. 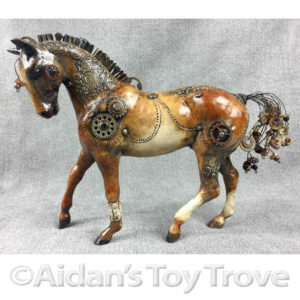 His auction ends Saturday at 10:19am PST. 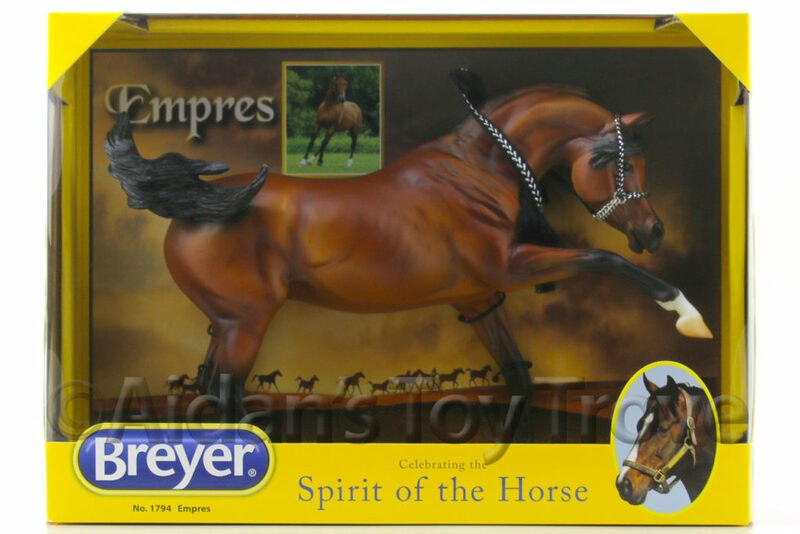 Big Ben has got to be my favorite Breyer mold! 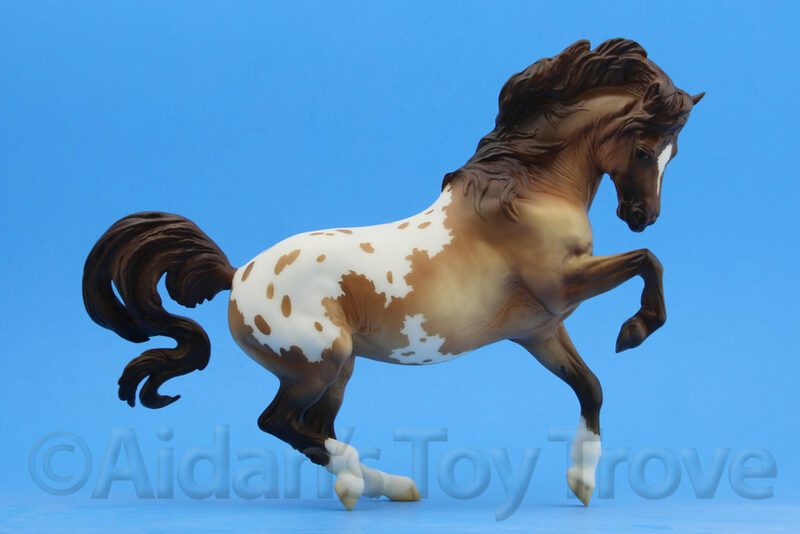 This gorgeous customized version is sure to be a prized addition to your collection. 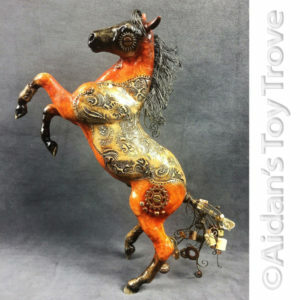 This is truly a one of a kind work of art that you will be able to treasure and display for years to come. 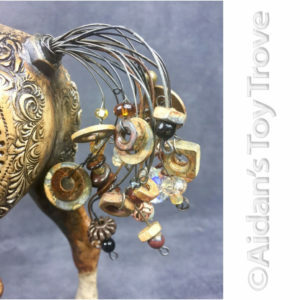 The second is a very cool Silver in steampunk style. 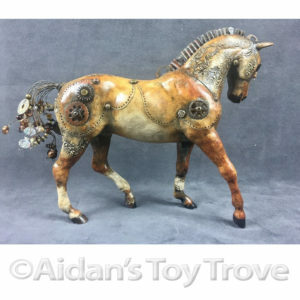 His auction ends on Saturday at 10:30am PST. 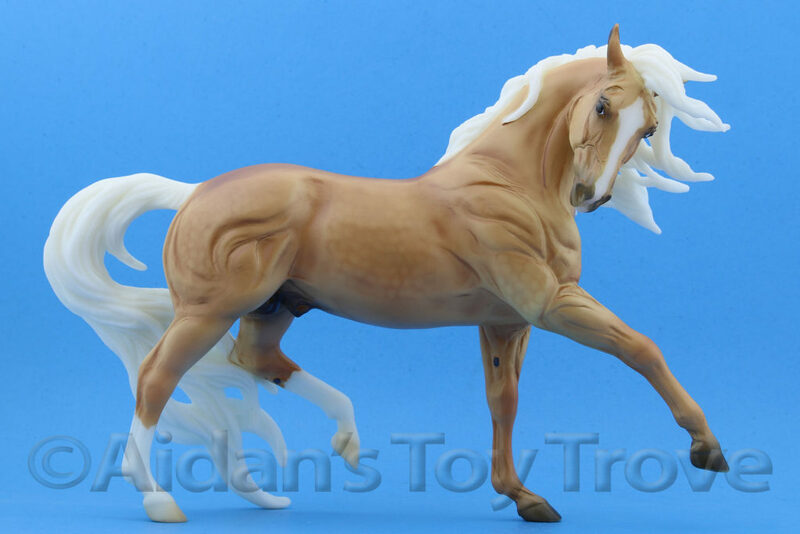 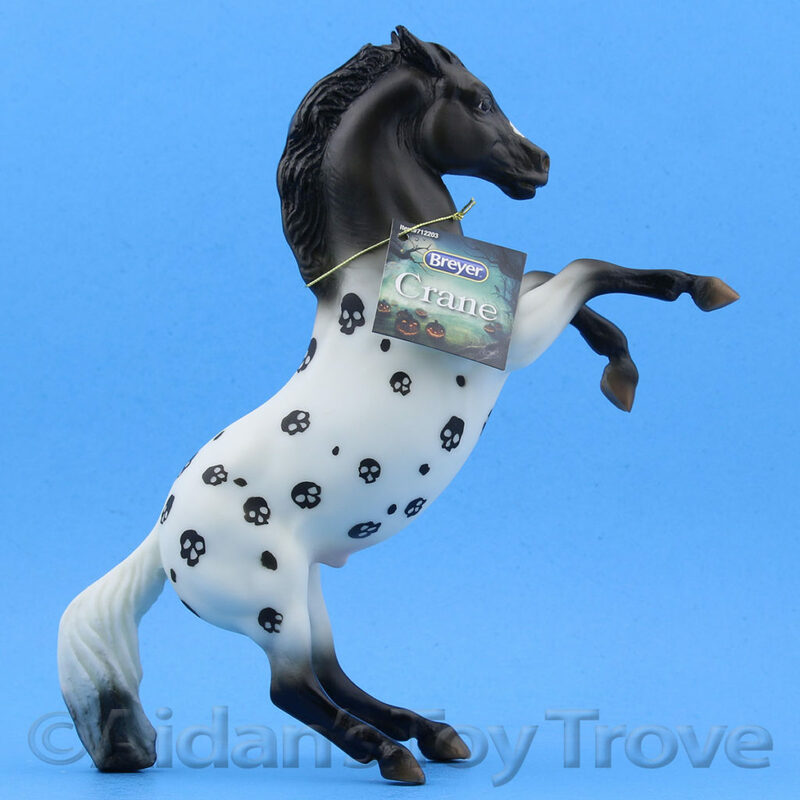 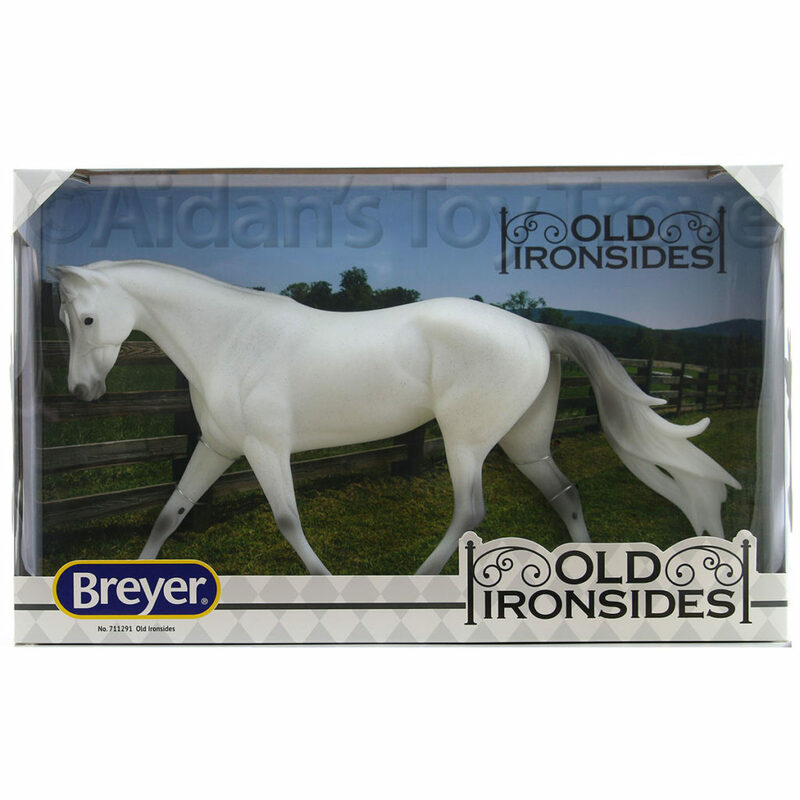 I am offering one of my custom Breyer horses. 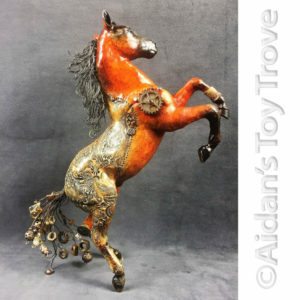 Adorned with gears, wire, nuts and bolts, this stunning version of the rearing stallion, Silver, will be a unique work of art that you will treasure for years. 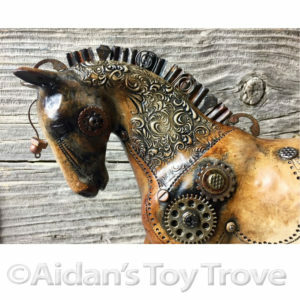 Elayne will be selling a whole herd of her steampunk creations at BreyerWest 2017. 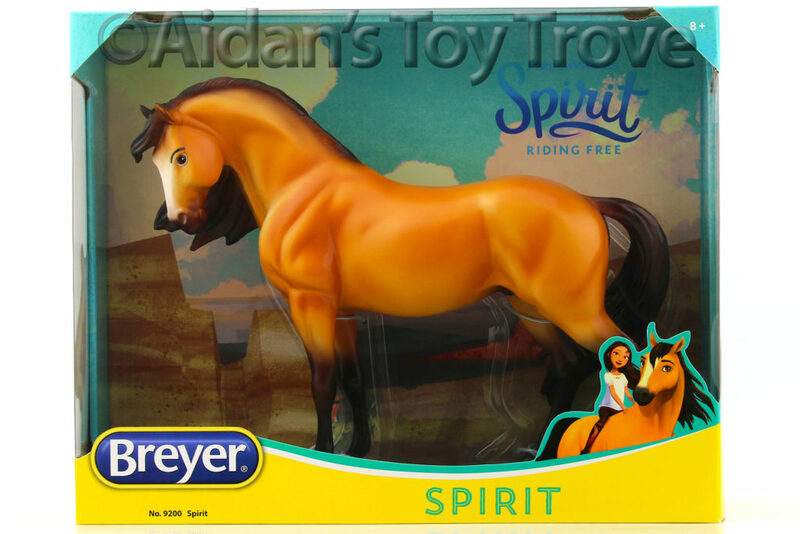 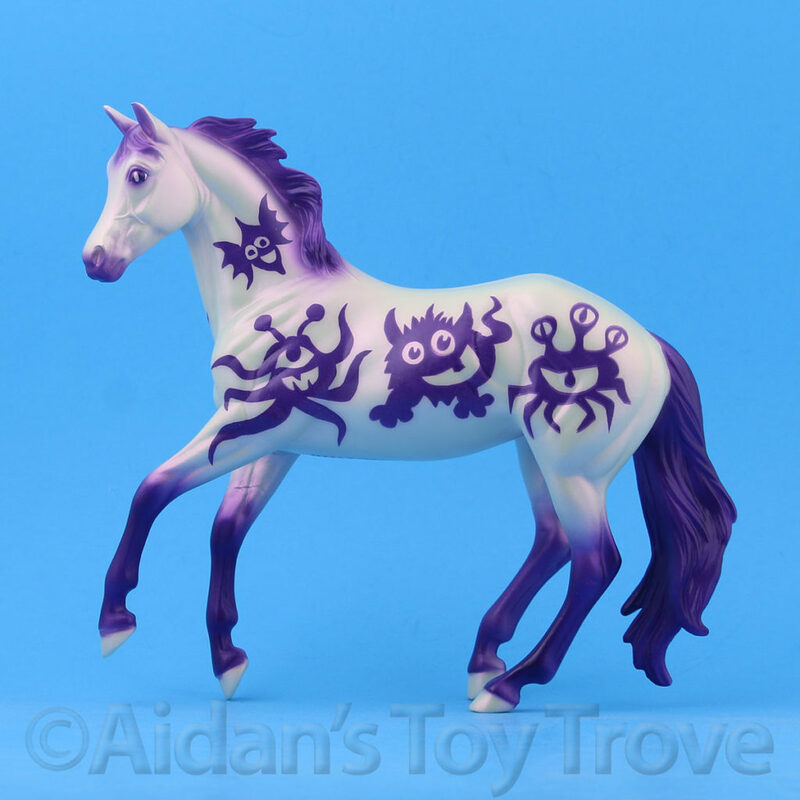 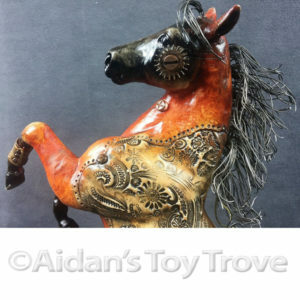 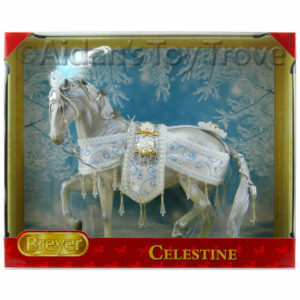 Elayne’s booth will be next to our Aidan’s Toy Trove Breyer booth! 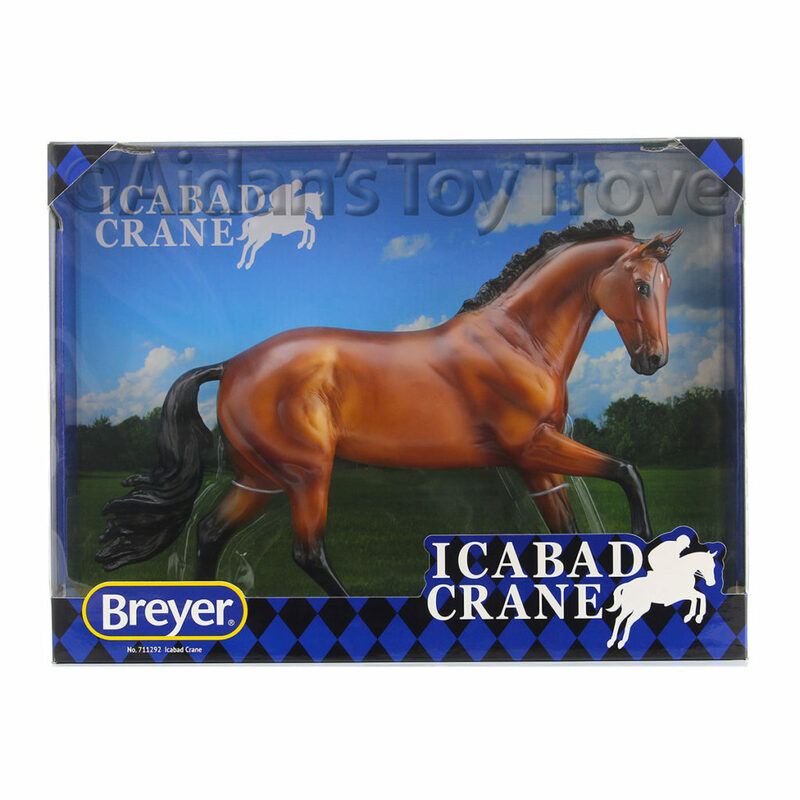 We will be bringing hundreds of Breyer horses to sell. 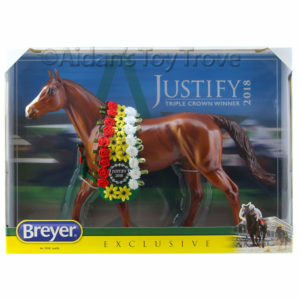 If you are attending BreyerWest, please stop by and say hi! 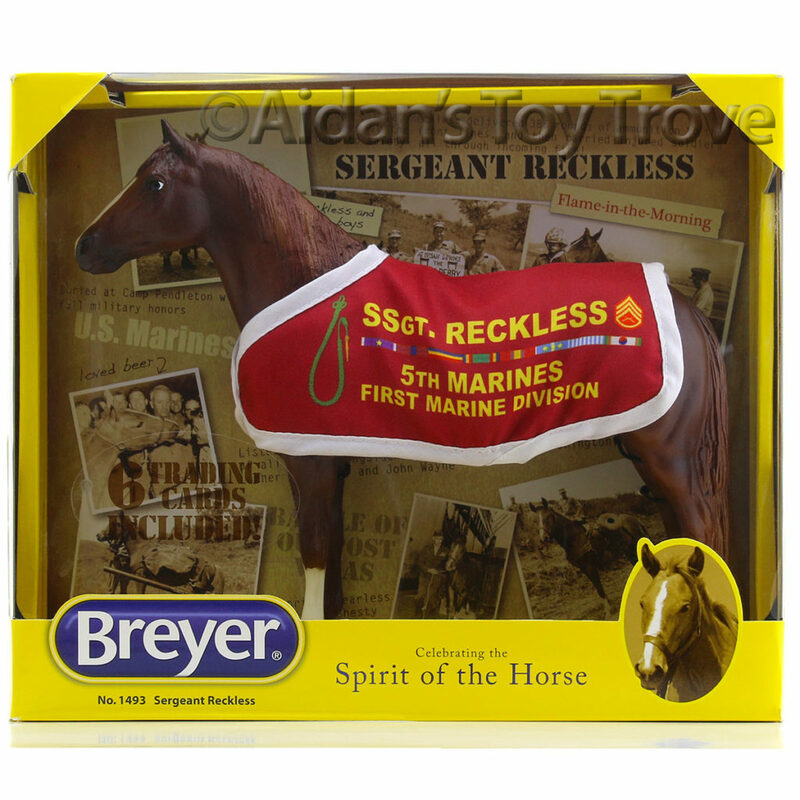 Our booths will be within eye shot of the actual BreyerWest Event inside the Santiam building. 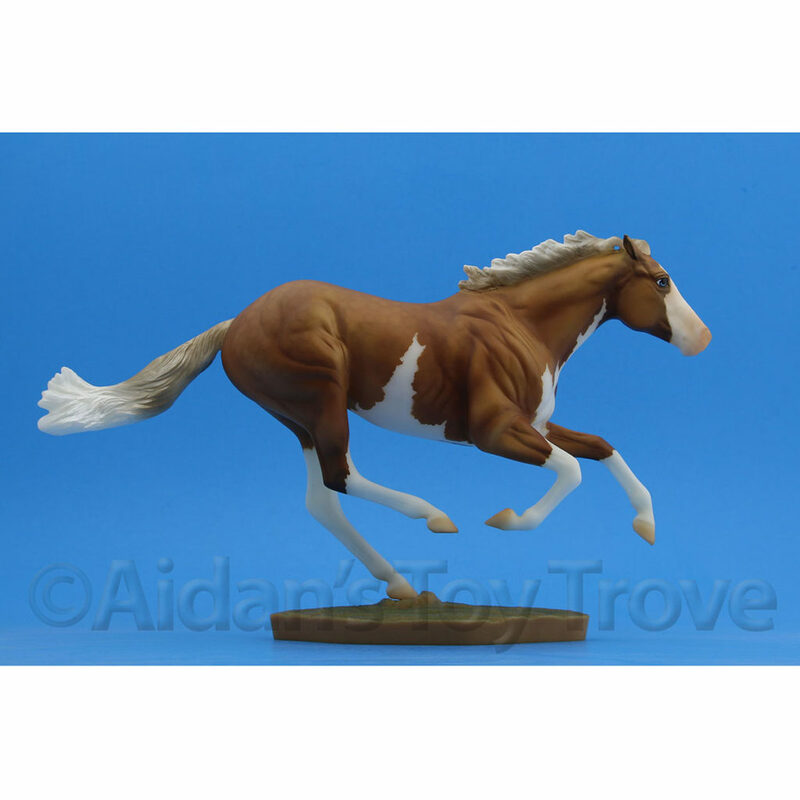 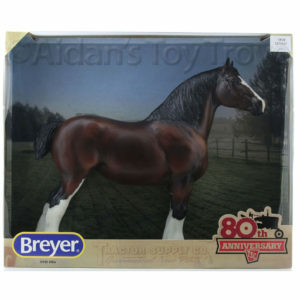 « 2 Big Breyer Horse Sales!